Does Solar Make Sense in Oregon? Set your business apart from the norm. Demonstrate your environmental commitment and be powered by clean renewable energy. Come check out some of our previous installs and see a little bit of what to expect. View some of our installations and advantages of going solar. Interested in seeing what other cities and governing bodies are doing to become green? Come take a look at our previous projects. We evaluate your home or business needs then provide you an aesthetically pleasing custom design. 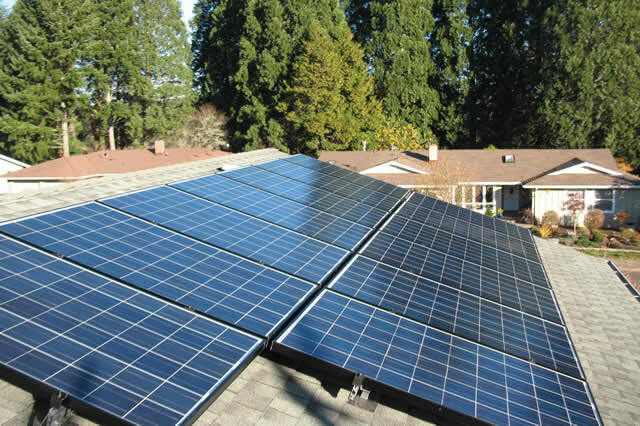 Solar Ki, LLC is a Certified Trade Ally of EnergyTrust of Oregon; you will receive a substantial incentive on the installation. Significant credits are available from Federal and State programs. Businesses also benefit from depreciation and other credits. Solar electric systems are a capital improvement to your home and will increase resale value; they are exempt from property taxes.